Vichai Srivaddhanaprabha, 60, is the key figure behind the huge success of King Power International, Thailand’s duty-free shopping giant, and has bagged many big deals in Thailand’s business history, including their latest acquisition – the MahaNakorn development project, Thailand’s tallest mixed-use tower – at Bt14 billion (S$583 million). 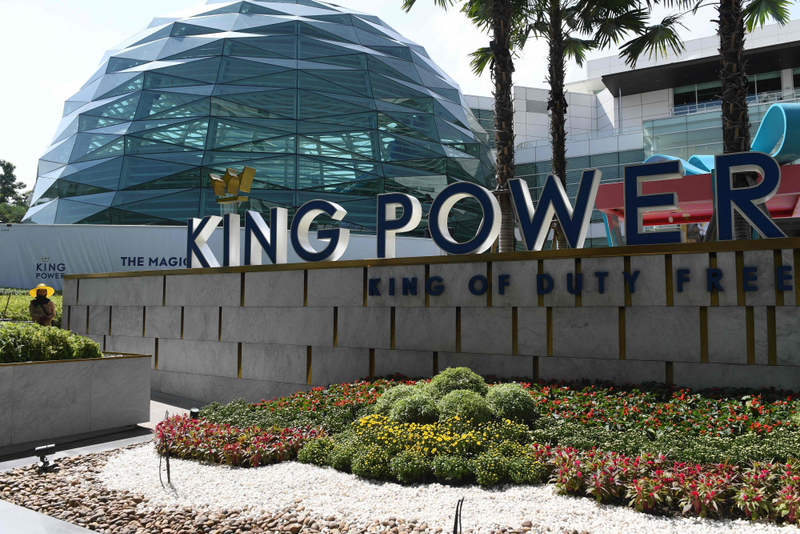 Founded in 1989, King Power International has become one of the global leaders in duty-free shopping. The group operates duty-free stores at Thailand’s international airports, an online shopping facility, and downtown shopping malls in Bangkok, Phuket and Pattaya. Born in June 5, 1958, Vichai is a son of Wiwat and Prapasorn Raksriaksorn. He graduated high school from Woodlawn High School, US, and did his bachelor’s from the Faculty of Liberal Arts, Ramkamhaeng University, and got a degree from Northrop University’s Business Administration Faculty in the US. Vichai is married to Aimon, with whom he has four children: Voramas, Apichet, Arunroong, and Aiyawatt. In 2012 the family was bestowed the new family surname Srivaddhanaprabha by HM the late King Bhumibol – the name means “light of progressive glory”. Vichai became a vastly experienced businessman, both from his own and jointly-managed companies, including Sriaksorn (1980), Thai Nishikawa International, Europa Prince (Thailand), and Downtown DFS (Thailand). Vichai is a pioneer in the establishment of the duty-free business in Thailand and has become one of Thailand’s leading businessmen. He began his travel retail career in Hong Kong, returning to his native Thailand to open the country’s first downtown duty-free shop as a joint venture with the Tourism Authority of Thailand, before expanding the business to Cambodia, Macau and China, as well as Thailand’s international airports. Vichai controls and chairs US$3.3 billion (revenues) King Power, Thailand’s leading operator of duty-free stores. He is widely known to be closely connected to veteran politician Newin Chidchob, now president of Thai football league’s Buriram United, and Deputy Prime Minister General Prawit Wongsuwan. In addition to his business interests, Vichai has a passion for sport, especially polo and football. He established an outdoor polo field in Thailand, ranked as one of the top international facilities, and has served as the president of Thailand Polo Association. In 2010, he acquired Leicester City Football Club and currently serves as the club’s chairman. In 2017, he bought his second football club, OH Leuven in Belgium. Vichai is ranked by Forbes as the fifth richest person in Thailand in 2018 with US$4.9 billion in real time net worth as of yesterday. A helicopter carrying him and four others crashed and burst into flames in a car park close to his team’s King Power Stadium yesterday after taking off from the club’s pitch.